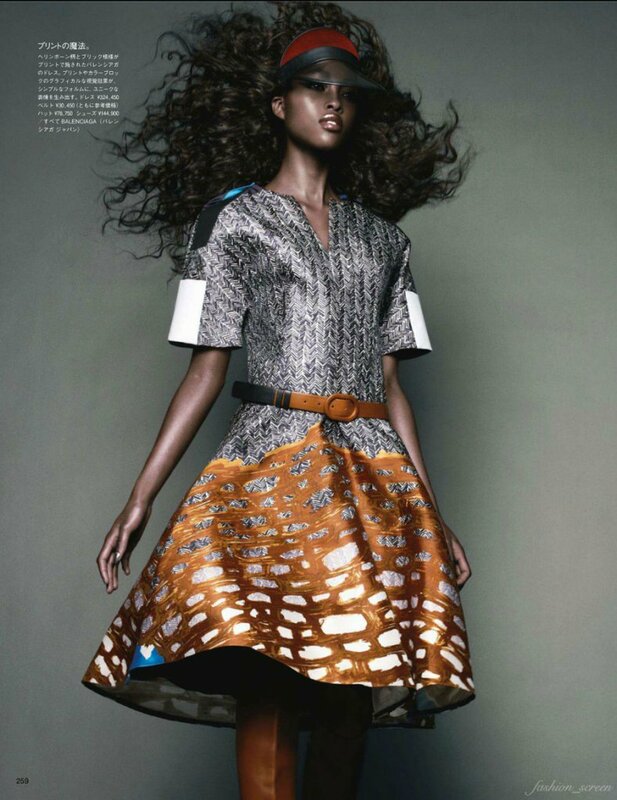 The Japanese November issue of Vogue features model, Nyasha Matohondze! She is absolutely gorgeous and makes these clothes look even better with her in them! The designs are bold eccentric and remind me of the 80s. They are bold, feminine, color and beautiful! I NEED to know whether I can get my hands on that amazing white dress!! Help. Where can I find it? What brand is it? Hello! thank you for reaching out to us. This post was published in 2011. You will need to contact Vogue Japan for any information regarding their model’s white dress.